Eggplant is one of those vegetables that just doesn’t get the love it deserves. It makes for a good eggplant parmesan and baba ghanoush, but beyond that, it’s often a forgotten summer side that’s left to char on the grill while people go for the bell peppers and zucchini. Over in Japan it’s a different story though and the humble eggplant is one of summer’s hottest vegetables. 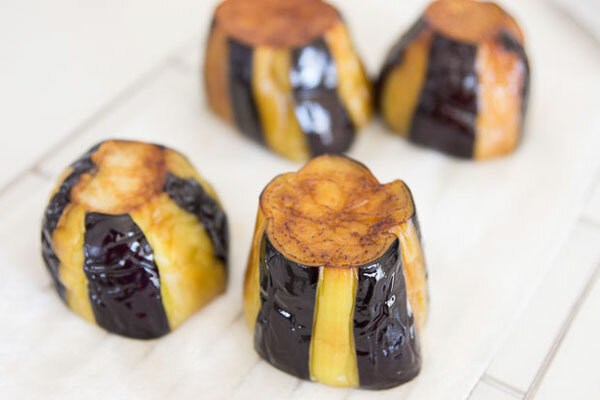 Nikumiso Dengaku is a delightfully flavorful dish that’s made by carving out eggplants to make bowls, and then stuffing them with nikumiso (literally: “meat miso”). 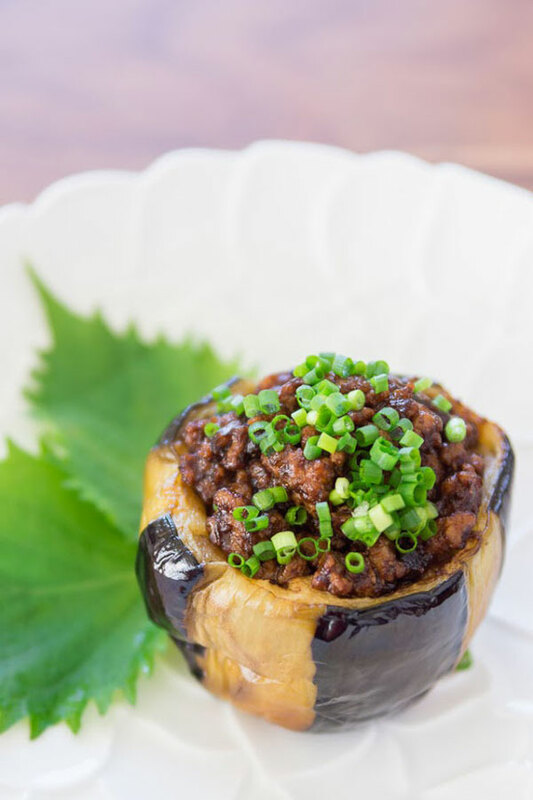 I’ve done a more standard meatless take on eggplant dengaku before, but this version takes this dish from a tasty side to a hearty main. As with any dengaku, the secret to the nutty, chocolate brown sauce is the hatcho miso. It’s made from soybeans and barley just like most miso, but a special cooking process and two years in a cedar cask gives it its dark color and incredible depth. Along with some ground pork and ginger, it makes for a divine sauce with deep earthy notes reminiscent of black beans and caramel. Nikumiso literally means meat miso. 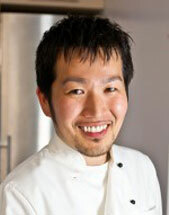 Try Marc Matsumoto's Japanese recipe for stuffed eggplant, and learn more at the Fresh Tastes blog. Trim the stems off the eggplants and then slice enough off the bottom of each eggplant off so that they can sit upright without falling over. Use a peeler to peel away alternating stripes in the skin. Slice the eggplants in half from side-to-side. 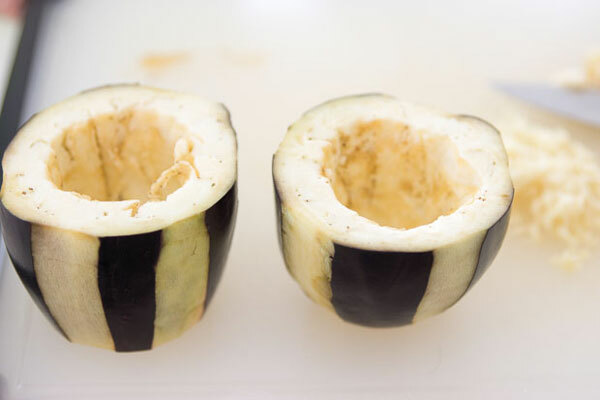 Carve out some of the eggplant to make a bowl, but leave about 1 inch (2.5cm) of eggplant around the sides. In a small bowl, combine the hatcho miso, mirin, sake and sugar and mash together until they form a smooth sauce. Heat a pot with 2-3-inches of oil until it reaches 340 degrees F (170 C). Prepare a paper towel lined wire rack. Fry the eggplant, turning periodically for about 2-3 minutes or until a skewer easily passes through the bottom of each cup. Drain the eggplant cups upside-down, gently patting away any excess oil. Add the oil and ginger into a sauté pan, and fry until the ginger is fragrant. Add the pork and stir-fry, breaking up the clumps until the pork is cooked. Drain any excess oil from the pork and then add the miso sauce. Cook until the miso forms a shiny glaze coating each crumb of meat. 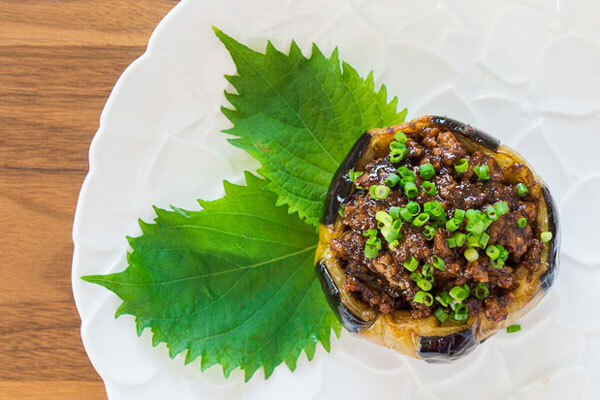 Divide the pork between the 4 eggplant cups and top with the minced scallions.